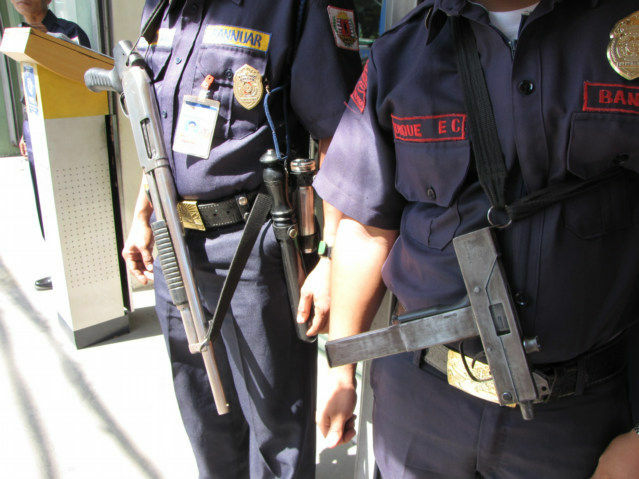 Here are a couple photos of guards in front of a bank with some cool guns. I am good at asking people with guns to allow me take their photo. This one is small and I fires about 30 bullets. 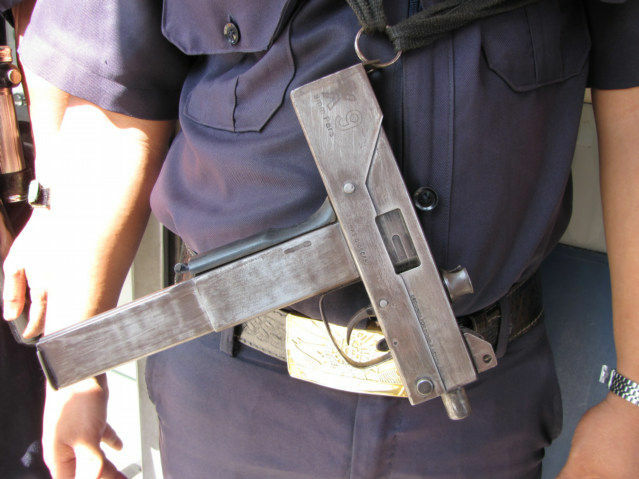 Your basic sawed off shotgun, this weapon is easy to see about in most countries on the planet.